Friday morning I was eating breakfast with Al Serino in a San Diego hotel when Steven Slosberg called my cell phone. Al and I were at a conference upgrading our skills and credentials to do disaster relief more effectively. Steve Slosberg has always been pleasant with me, but I discovered it wasn't really me he wanted to talk to (although he did ask me a few questions) but he wanted to talk to Al. It was a kick to come home Sunday after church and read the column (reproduced below, with appropriate links) where Slosberg names him as his "Man of the Year." I definitely agree with Slosberg that Al needs to get rid of that "Jesus Is a Red Sox Fan" tee shirt. Time for a new chapter on that one. Here's the article. 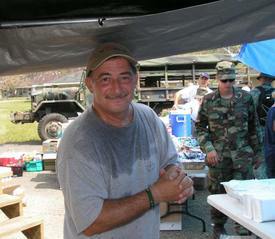 I added the picture of Al overseeing teams in a field kitchen in Bay Saint Louis, Mississippi right after Katrina hit. Enjoy! Tis the season for honoring people of the year, and I've found my man living out by Oxoboxo Lake in Oakdale, though he's been spending much of his time in the muck and ruin of the post-Katrina wasteland along the Gulf Coast. If Al Serino were to accede to this conceit, and take a bow, he'd call it a blessing. In any event, he's out in San Diego just now, working to get his ministry certified and federally recognized as a disaster relief organization. He'll tell you that his church, Calvary Chapel in Uncasville, where he is outreach pastor, and his Willing Hearts, Helping Hands ministry, do this hammer-banging and human-kindness intervention all the time, be it orphan support in Central America, dispensing food and water at Ground Zero after Sept. 11, or, where I got to know him, raising houses from the barren slabs and ashes in Mississippi towns essentially blown off the map by the water, winds and tornados otherwise known as Hurricane Katrina. Albert J. Serino, who is 58, has the organizational qualities, the big-laugh temperament and the hands-on confidence. He can corral groups of volunteers, many of them hapless but earnest college students on spring or winter break, and keep them healthy and fed as they labor to do good. That he is a Massachusetts-bred Red Sox loyalist, the kind who offers no quarter, does not diminish — well, maybe a tad — his leadership gifts or innate worthiness. Before moving to this region 15 years or so ago, Serino worked in management for General Electric and then as a consultant to troubled businesses looking for a turnaround. Here, he was a vice president for the former United Nuclear Corp. in Montville. His first wife, the mother of his two daughters, was killed in an auto accident when the children were young. Serino married again, and divorced, and lives today with his third wife, Amy, whom he married seven years ago. They moved to a circa 1930s cottage at Oxoboxo Lake three years ago, and restored it. They were in Niantic before that. All of his work, Serino will tell you, is in praise of Jesus. Raised a Catholic, he was born again at age 40. His work, irrefutably, is inspired. After Katrina struck the Gulf Coast at the end of August 2005, Serino, in discussions with Calvary Chapel's senior pastor, Joe Paskewich, began organizing relief teams through the Willing Hearts, Helping Hands ministry, which the church created for such emergency efforts. The volunteers started in a month or so later, housed, with other volunteer groups, on cots and in sleeping bags, and on the rare mattress, in the dank basement of a Baptist church in the Mississippi hamlet of Diamondhead, about a 45-minute drive from New Orleans. For the next year, Serino would spend at least two weeks every month in Mississippi, specifically in the Gulf towns of Waveland and Bay St. Louis, leading crews in the mucking out of vanquished homes, and then the rehabbing of those that were salvageable and the complete rebuilding of others. Serino's church team solicited donations, tried to get big-box hardware stores to supply materials (the best he was offered, he says, was a 50-percent discount) and kept recruiting more volunteers. In the end more than 80 houses were cleaned out and made livable again by the Calvary Chapel crews, and, among those, 14 were built anew. When I visited the Mississippi sites with a Calvary group in late March, I saw other decencies in Serino, such as offering a bed in the church to an itinerant plumber from New London, who'd overcome his troubles here and made his way south after the hurricane. He volunteered at housing sites in the evenings in exchange for his bed and meals. Serino knew him from here and trusted him. That meant as much to the plumber as shelter. I won't badger you to take a bow, Al, for all that you and your crews did this year. But, please, at least change that wretched Red Sox T-shirt. To read the article onliine or to hear Steven Slosberg read this article by click here. September 11th Stories of Faith, Hope & Love: "I'll Go! How Al Serino Ended up at Ground Zero"
"I'll go!" That was the response of Al Serino, a member of our church when I suggested a week after the attacks that we go to New York to hand out literature and pray with people in the streets. When I saw the towers come down on television, I knew that I had to go. I didn't know how or what I could even do, but I knew I needed to go. We had a missionary staying at the church, Steve Baughman from France, and I asked him if he wanted to go down with him. He said he needed to pray about it, and then a few minutes later told me, "Yea, sure, what are we going to do?" Good Question. Let's get down there and see what the Lord has for us. Steve and I piled into my Toyota truck with some clean clothes and backpacks and headed down to Ground Zero. When we got into the city it was scary quiet. Driving through Manhattan at night we drove right through the middle of Times Square, there wasn't a person in sight and all the lights were out! It felt really strange in the city. We continued to drive towards the fallen towers until we met with a city closed from Canal Street south. I drove up to the barriers with police officers guarding the streets and told them I wanted to get down to Ground Zero. They asked me who I was and what I wanted and I told them I was a pastor. They sent me to the Amory on Lexington Ave. The Armory had been turned into a "Family Bereavement Center" where families looking for loved ones would come and fill out missing persons reports. We went up to the center, up the stairs only to be met by loads of police and security. They asked us what we were doing and we told them we were pastors. They informed us that the center was closed and would open again at 6:00 AM. I turned to Steve and told him, "I think we're going to get in and minster to people." He wasn't so sure. That night we slept in my truck, two guys in that tiny vehicle, waking up in the morning smelling like animals. Running our fingers through our hair we headed back to the Armory. Security was much stricter than the night before and we got stopped numerous times attempting to get in to the Armory. At the top stair, we got stopped again at the next tier of security and were asked again what we were doing. We told them we were pastors and the police officer said, "Well you better get over there, they are looking for you!" Looking for us? Doubtful, but here we were. Once in the Family Center we went to where they were setting up the chaplains station and it was being coordinated by a west coast Calvary Chapel pastor and fire chaplain. From that moment we began to serve as Ground Zero chaplains. I came back home that weekend to teach at church and saw Al Serino cleaning up after the monthly Men's Breakfast. I told Al all what was going on in the city and how people were walking around stunned. It wasn't at all like New York. Everybody you met wanted to talk. I told Al that it seemed like there was a lot of opportunity to listen to people and to talk with them. Al looked at me and said, "I'll go!" Al took a map, a $50 hotel reservation, 2,000 pieces of literature and a table to setup somewhere in the city to offer material, prayer and bottled water. People from the church would be arriving the next day to help him. He arrived 1:30 in the morning and started out the next day in Union Square, a popular New York City park. He called me that day to tell me that the literature was gone in few hours. Al ended up helping to setup a feeding and respite station for Ground Zero workers. Police, Fire and others working in the search and rescue and clean-up came to the center 24/7 for over a year. He mobilized volunteers for the Salvation Army, the city of New York and other organizations. Every morning Al trained and sent out "Hope Teams" from all over teh USA that were praying with people and talking with people about the love of God. He was on the ground floor (the inviting and organizing team) for a huge "Festival of Life" with Mike MacIntosh, that set up festivals in every borough. God blessed Al's willingness to go. Today, Al is a pastor and the field director for Willing Hearts Helping Hands, a relief and response ministry. On September 11th, 2005 Al sent the first teams to Mississippi to assist in the cleanup and rebuilding of the Gulf Coast in the aftermath of Katrina. He started by organizing teams to feed firefighters, police and relief workers. To date Al has helped clean out, gut and rebuild dozens of houses on the Gulf Coast. 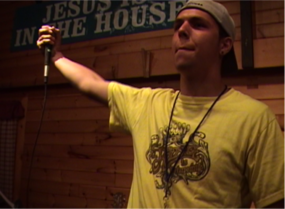 What started as a church member being willing to give a couple of days out of his schedule became a full-time ministry. Al ended up setting up an office in Times Square and mobilized thousands of people to serve in numerous capacities throughout the city until September of 2002. Eighteen months later I found myself again in the town of Waveland, only this time standing at Hurricane Katrina’s Ground Zero. A thirty foot storm surge destroyed nearly the entire town. I was there this time with our church’s relief and response ministry, trying to determine if we could help. It wasn’t until a month later that I realized it was the same town. My wife helped drive a church owned Chevy Surburban to Waveland where she saw pictures of the town before the storm hit. She called me to tell me that was the town we had visited that day. I had been in that town after the storm and didn’t recognize it. Katrina rearranged the entire landscape destroying hundreds of houses, including the churches we pointed out to each other and the restaurant we ate in. Gone. One year later the Mississippi story has barely been told. This was not just a New Orleans disaster. Arriving in the Gulf region shortly after the storm our team headed to New Orleans. Hundreds of blocks were under water, but when we got to the French Quarter and on to Bourbon Street the city seemed untouched, except for a bit of wind damage. Canal Street, closed to the public as was the rest of the city, was filled with RVs, media vans, emergency vehicles, satellite dishes and lines of reporters and relief workers at the Salvation Army chow wagon. The story was being reported from the center of the city, the part of town above sea level, which it turns out was one of the least effected areas on ninety miles of coast. New Orleans got struck by a flooding Lake Ponchartrain twice, but the center of the hurricane was 40 miles to the east centering in Waveland and Bay Saint Louis, Mississippi. Cutting a corridor ninety miles long and twenty miles deep, Katrina destroyed or made inhabitable tens of thousands of homes. Traveling out of the city looking for where to send our teams we saw mile after mile of complete devastation. Thousands of homes, many with only a foundation to let you know something was there with thousands more unsuitable for living. Up to a week after the storm no press had yet visited Waveland or Bay Saint Louis, the storm’s epicenter. National Geographic later picked up on the Mississippi angle, dedicating a special issue to Katrina, but most people still think New Orleans when they think of the storm of the century. Another untold story is the response of the Faith Community. Dozens of church parking lots along Route 90, Mississippi’s coastal throughway, were transformed into feeding, care and information centers, serving thousands. 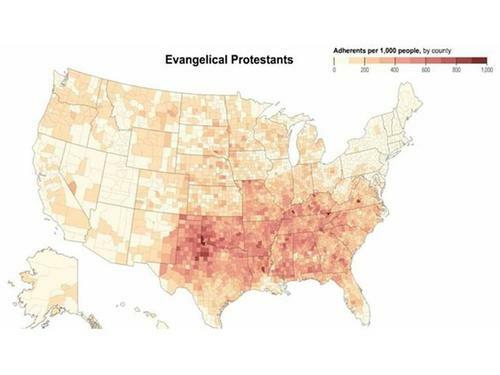 In the days following Katrina FEMA estimated that over 500,000 people had taken refuge with churches. Tom Delay noted that in Houston alone 500-600 churches opened their doors to people fleeing the storm. In the three months following Katrina, the Southern Baptist Convention reported preparing nearly 14 million free meals. Volunteer labor from the Baptists during that period was 155,502 volunteer days. When George Bush showed up in Biloxi, he made his speech from Camp Hope, constructed by Denny Nissley (who we worked side by side with at Ground Zero in Manhattan after 911) of “Christ in Action.” which was feeding 5,000 daily. Our ministry out of Calvary Chapel in Montville, Connecticut has mobilized over 600 volunteers and worked on 87 separate projects, making some homes ready to be inhabited and building others from the ground up. Of the 40 permits pulled in the Bay Saint Louis – Waveland area to rebuild houses, most of them have been pulled by faith based ministries providing free volunteer labor and in many cases free materials. One year later not much progress has been made. Of the 14,000 families that were displaced in New Orleans Lower 9th Ward, only one old lady is said to have made her house habitable. Last week, in the middle of the night, somebody stole two pieces of heavy equipment that were being used to construct a memorial in the neighborhood. Decemberadio has been getting some great mainstream press and a lot of airplay on Christian stations across the country. Billboard and MSN called them one of the indie bands to watch in 2006. They will be with us @ Calvary Chapel for our 9:30 & 11:15 services on Sunday morning, August 20th. They will not be performing at the 8:00 service. They ARE rock musicians, that's a little early for them!! Tom Miyashiro will be sharing the message that morning. It should be a great time of worship and encouragement. Be sure and bring a friend! To hear decemberadio click here The music will automatically start. That's the title of the book Tom Miyashiro wrote, which is essentially his story. He describes the title of the book as coming from "the two faced nature that Christians are inevitably plagued with - the desire to do right whilst falling to the sin nature every time we are challenged by our flesh." It's the story of a young angry teenager, his struggles, his being put in a mental ward to meeting Jesus head on and the transformation that brings to our lives. Tom is the director of Evangelism and Communications for F2FMI: "Faith 2 Faith Ministries International." To check out his bio click here. Tom has been working with Luis Palau's Next Generation leadership team. Join us and bring a friend @ Calvary Chapel, Sunday morning, August 20 as Tom shares his story and the story that can change you life. Special musical guest will be decemberadio, of who mainstram media called one of the "bands to watch in 2006."